Shimlaites are you game to help out the people of Nepal? This is your opportunity to show that you care! Wake & Bake is taking a most noble initiative for the cause.of the Nepal Tragedy. 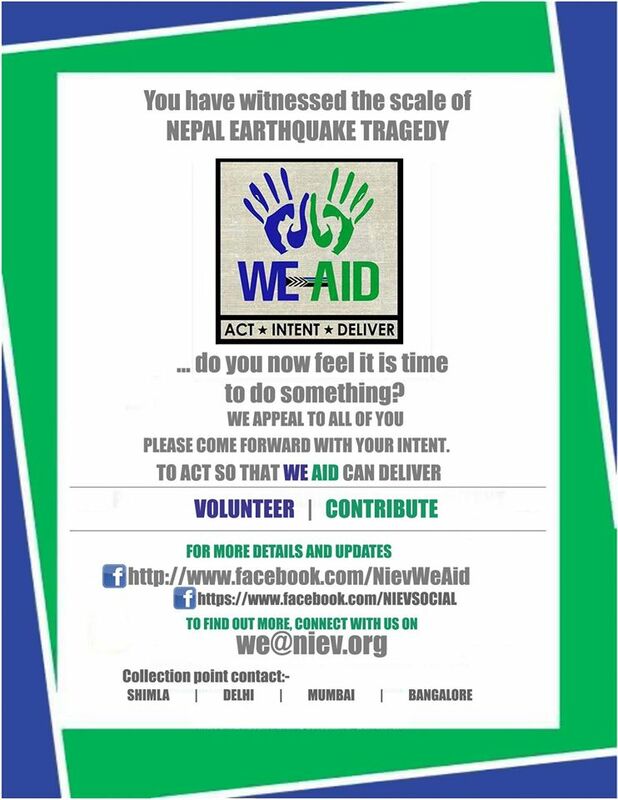 They have set up the collection center of WE-AID on their premises. WE-AID has loads of experience in disaster management and a competent team of experts. The team is headed to Nepal in 10 days to plug the gaps and getting to villages that have still had no assistance of any kind. Please make sure that the clothes (woolens) that you contribute are clean and wearable. Apart from this you can also help in RAISING FUNDS to send along with the aid, so if you don’t have material to contribute you can still donate some money to aid our relief mission. You have 9 days before everything has to be sent.